Working in diverse fields, from banking and trade to business management and telecommunications, 13 AUC alumnae are named by Forbes Middle East among The Middle East's Most Influential Women of 2018. Focusing on women in executive business and finance positions, as well as women in government departments, this annual list considers the title, scope and impact of the women's work, as well as the revenues of the companies they lead. AUC alumnae continually impress, making important contributions in a variety of sectors and fields within Egypt and abroad. Graduating from AUC with a Bachelor of Arts in political science and a Master of Arts in economics, Lobna Helal is the first woman ever appointed deputy governor of the Central Bank of Egypt. 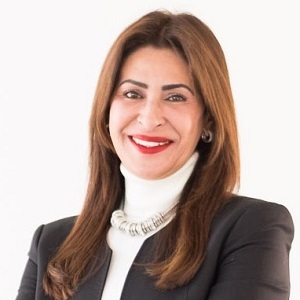 Graduating from AUC with a Bachelor of Arts in business administration, Elham Mahfouz first worked as a credit manager and deputy chief executive officer at the Commercial Bank of Kuwait before becoming its CEO. 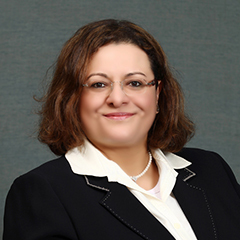 Graduating from AUC with a Bachelor of Arts in business administration, Dalia El Baz has been a member of the National Bank of Egypt's executive committee since 2016. She supervised the deployment of the new core banking systems and the centralization of banking operations. El Baz started her banking career at Barclays Bank Egypt. After graduating from AUC with a Bachelor of Arts in economics and Master of Arts in business administration, Sahar El Damati worked in a number of organizations in the banking sector such as the International Monetary Fund (IMF), commercial International Bank (CIB) and the World Bank. 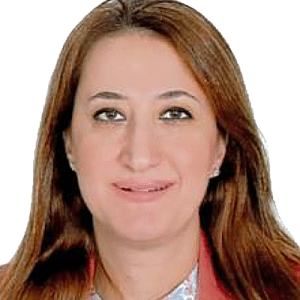 She went on to be head of the Credit and Portfolio Management department at the Social development fund, deputy managing director, chief risk officer and board member of HSBC Bank followed by deputy chairman and board member at Banque Misr. 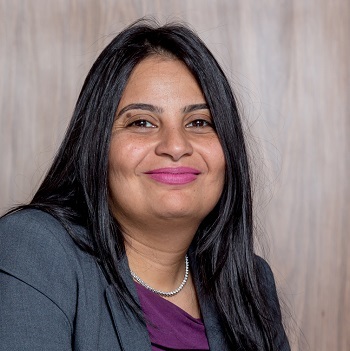 She is currently holding the position of managing director of Union Capital credit funds, an Egypt-based private equity firm focused on small and medium enterprises. 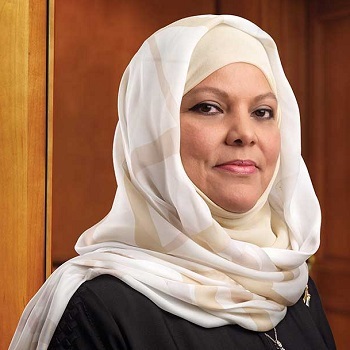 Graduating from AUC with a Bachelor of Arts in economics, Rawan Ahmed has been the chairperson of the National Bank of Oman since 2005. She is also on the board of five other companies. 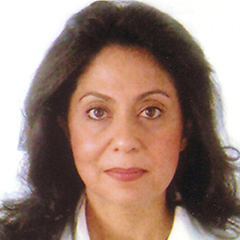 Before her time at the National Bank of Oman, she held the position of non-executive director at ONIC Holding and deputy chief executive officer of the State General Reserve Fund of Oman. Graduating from AUC with a Bachelor of Arts in business administration, Mervat Soltan worked as the vice president of Deutsche Bank Cairo, as the director of HSBC and as the general manager at Ahli United Bank Egypt before her time at the Export Development Bank of Egypt. 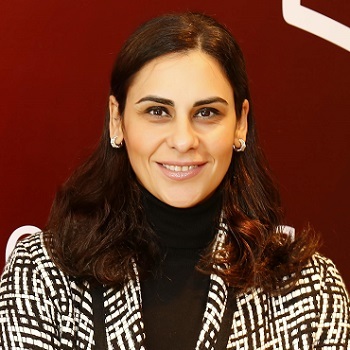 Graduating from AUC with a Bachelor of Arts in economics and a Master of Business Administration, Rasha El Azhary previously served as the development director for Vodafone Qatar, leading the launch of fiber and LTE services. 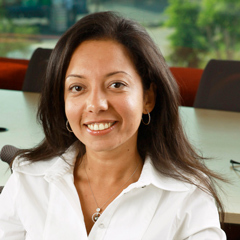 She joined Vodafone in 2003 after working as a senior associate at EFG Hermes. Graduating from AUC with a Bachelor of Arts in economics and a Master of Arts in economics, Hania Sadek has more than 30 years of banking experience. She has worked as the head of the IT Department, head of the Internal Audit Department and head of Operations and Systems at HSBC. Graduating from AUC with a Bachelor of Arts in economics and a Master of Business Administration from the Maastricht School of Management, Marwa El Ayouti got her start working at Vodafone, taking on her position at Orange Egypt this past April. Graduating from AUC with a Bachelor of Arts in business administration, Halla Shaker went on to serve as the deputy chief officer of HSBC Egypt before taking on her current position as managing director of Attijariwafa Bank Egypt. Shahira Magdi Zeid graduated from AUC with a Bachelor of Arts in business administration. She co-founded the Maridive Group, the largest company providing off-shore marine and oil support services in Egypt. She also is the Vice Chair for MZ investments, a company that provides financial and investment advice to both insitutional and private investors. 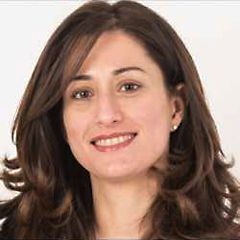 Graduating from AUC with a Bachelor of Arts in economics, Rana Adawi co-founded Acumen Holding. Bringing more than 22 years of experience in the financial services industry, her previous roles include head of research in Fleming CIIC Securities. Graduating from AUC with a Bachelor of Arts in business administration and a Master of Business Administration, Soha El Turky has experience spanning corporate and retail banking. Before taking on her position at Banque du Caire, she worked as the chief financial officer for Abu Dhabi Islamic Bank and as the chief financial officer at Citibank.